A few weeks ago Alex and I took a free Saturday afternoon to spend some quality time together. The plan was simple...a movie and dinner. Marmaduke (who knew Jack Bauer could pull off such a great canine antagonist?! 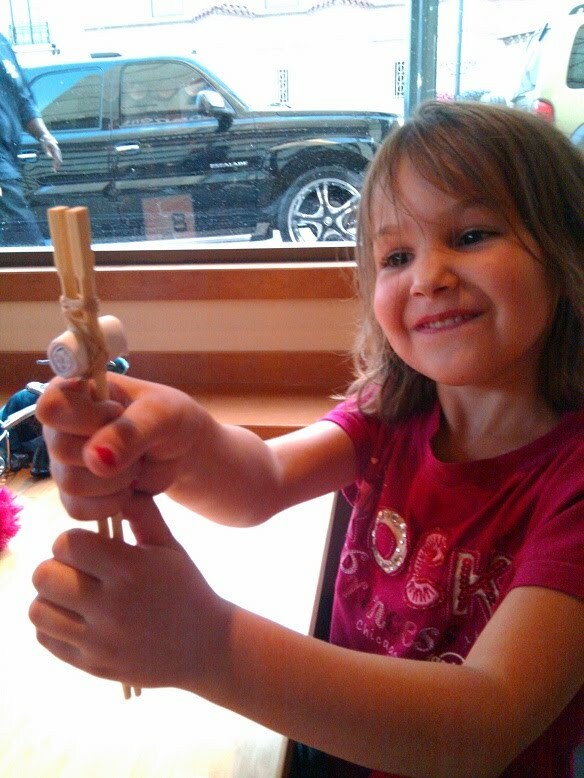 ), followed by dinner at Noodles and Co. Going to the theater with Alex isn't quite as simple as buying some tickets and popcorn. A home-made, themed costume is always required! Making one random passerby point and giggle was all the validation she needed. SUCCESS!!! And what better way to end a trip to the movie theater than winning a pink, stuffed teddy bear out of one of the cherry picker, crane arcade games...on the first try...seriously. I told her she got one try...and that's all she needed. 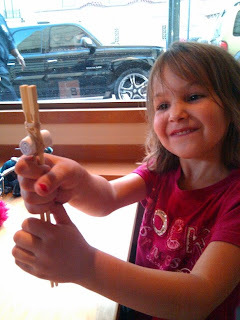 Then, on to dinner with MarmaPink in tow...dear sir or madam manager of Noodles and Co...your particular establishment is missing the little plastic thingies which enable kids to use chopsticks easily. Get some. Otherwise, hire me as your full-time rolled-up paper thingy guy to allow kids to use chopsticks easily. Labels: chopsticks, Marmaduke, Noodles and Co.